Having a strong core, back, and legs are key for hiking but that doesn’t mean you need to neglect your upper body. 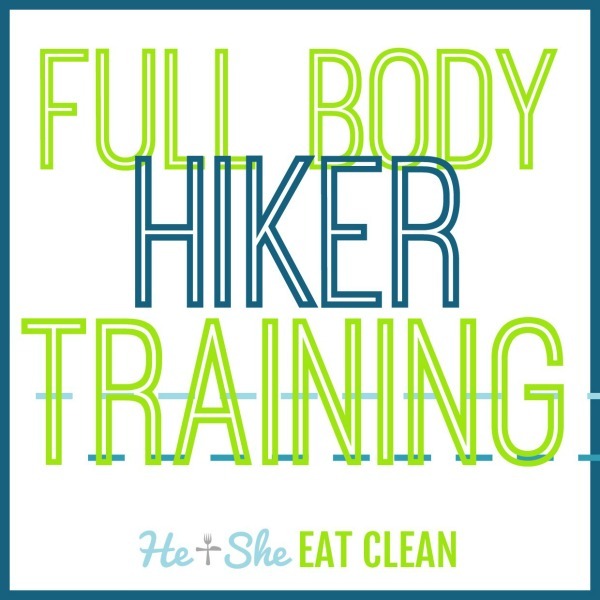 Use this full body hiker workout to finish your hikes strong! One of the most common questions I see is how to train for hiking. Scott and I are avid hikers and we don’t necessarily train for hiking, we just train, but basically what we do makes us better hikers. UPDATE: We wrote a post on how to get in shape for hiking! We workout similar to the way the She Sweats 12-Week Transformation is structured with weight training and cardio. Closer to a hiking trip, we may steer more towards the She Sweats 12-Week Run Builder, trading in some of the running for incline walking/sprints but we don’t spend hours a day working out (unless we are hiking). It’s just not necessary or healthy for most people. While I do think it’s important to follow a complete workout plan so that you are working the necessary muscles with proper rest, this Full Body Hiker Workout will get you started and can then be incorporated into your workout plan. Doing things like bicep curls, tricep extensions, shoulder presses, etc will help you develop a strong upper body. If you have weights, try to incorporate these exercises into your routine as well. Again, I think it’s key to follow a set workout plan (one that was developed by a personal trainer) so that you aren’t over or under training any one body part. Keep in mind that training for hikes doesn’t just stop at what exercises to do, it also involves healthy eating. You need to fuel your body with food that will sustain the activity you are trying to complete. Just because you are hiking doesn’t mean that you need to eat candy, drink sports drinks, and/or eat a lot of processed foods. Fuel your body with the lean protein, complex carbohydrates, and healthy fats that it needs. UPDATE: We wrote a post on what to eat while hiking! 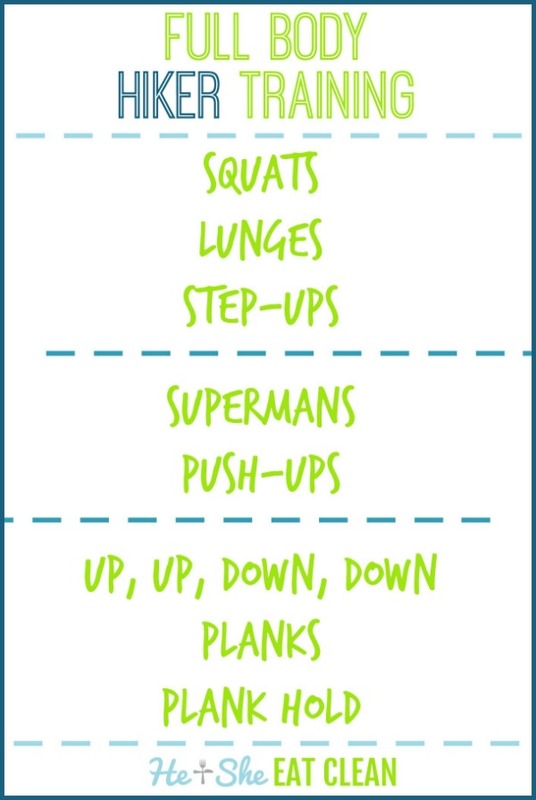 Take the following workout and make it your own. You can use just your body weight or incorporate weights for an added challenge. Start with 20-30 seconds of each exercise or 10-15 reps. Repeat the circuit 3-5 times. Looking for more outdoor adventure inspiration?